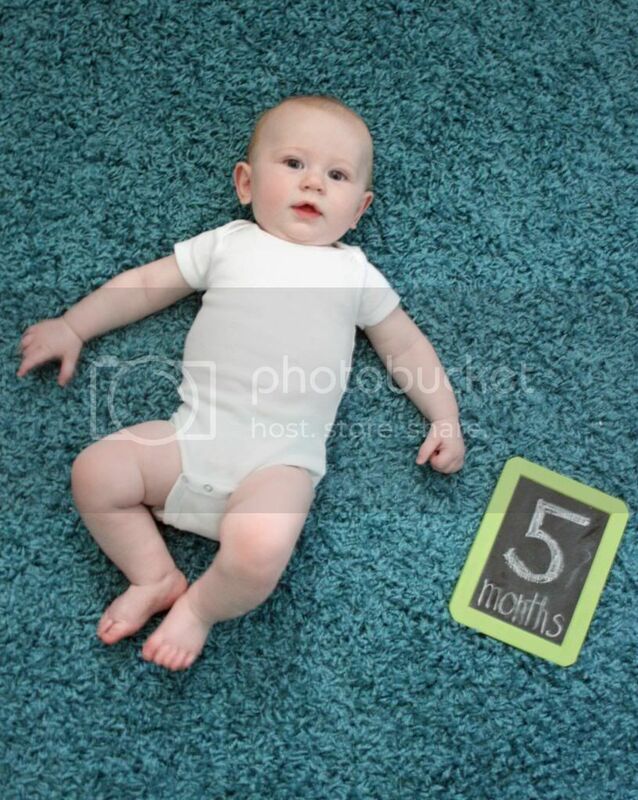 Jordy Liz Blogs: Dear Liam, You are five months old. Dear Liam, You are five months old. 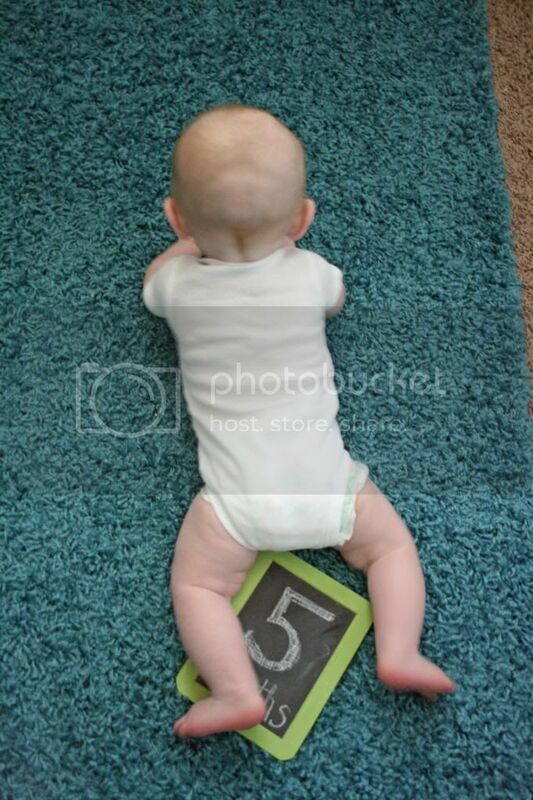 You are five months old. It's seems like you grew up quite a bit this last month, but don't I say that every month? We've had to be careful now with anything we leave within arms' reach - you grab it all. It's great when it's your pacifier; it's not so great when it's my plate of food at dinner. Since I went back to work a couple of months ago, one of the best parts of my day is picking you up from daycare. You have such a huge smile on your face and you have the best temperament when we get home. I cherish the half hour or so we get to just sit on the couch, play and cuddle, before you need a nap or bottle. The second best part of my day is when you see your dad walk in the door. You give him a huge smile which I know melts his heart, and he gives it right back to you. You're teaching us new lessons each day and I'm grateful for each one.